Every user of our website does so at their own risk. DAEMS Diamonds makes no representations or warranties of any kind with respect to the Site and the use thereof, including the security of any data or information transmitted to the Site. Neither DAEMS Diamonds nor any other party involved in the creation, production or delivery of this Site assumes or accepts any liability for any costs, losses, damages, etc. arising out of or in connection with the use and access to this Site, or with the failure of performance of this Site for any reason. This WebSite and all of the materials therein are protected by the Copyright Laws of Belgium and other countries worldwide. Any unauthorized use of the materials contained in the Site is strictly prohibited. All rights reserved. The Site may contain documents, images and other information owned by others. Any use of any these materials is strictly prohibited, unless prior written consent is obtained from the owner of the materials. 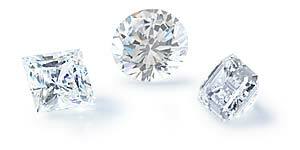 The names, tradenames and/or trademarks of DAEMS Diamonds are similarly protected. Any unauthorized use of such tradenames or trademarks is strictly prohibited without the prior written consent of DAEMS Diamonds and/or the relevant third party. It is expressly understood that the web site(s) to which links are provided in this Site are not under the control of DAEMS Diamonds, who assumes no responsibility with respect to the linked site(s), or for any potential damage arising out of connection with the use of any such link(s). In addition, any web site to which links are provided in this Site shall not be understood to be an endorsement by DAEMS Diamonds of the owner or proprietor of such linked web site. For each visitor to our Web page, our Web server does not recognizes the e-mail address. We collect only the email addresses of those who communicate with us via email, aggregate information on what pages consumers access or visit and information volunteered by the consumer, such as survey information and/or site registrations. The information we collect is used for internal review and to contact you about special offers, contests, and promotions. It is to improve the content of our Web page, used to customize the content and/or layout of our page for each individual consumer, and is not shared with other organization for commercial purposes. We do not make available the e-mail addresses of those who access our site to other organizations or companies. You can access the information stored by emailing us, and you may ask us to remove all your data and information on our system. You will receive from us a confirmation by email.